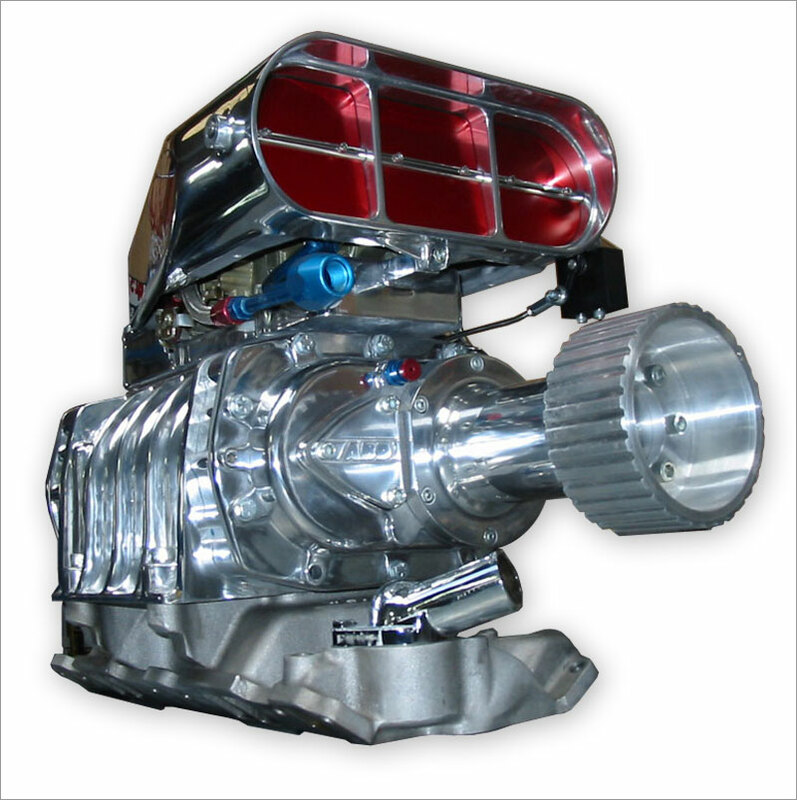 Garlits SC500 Streetcatcher for 4-71 Blowers. Guy's, if you have a Blower of a 4-71 Detroit Diesel the Famous GARLITS STREETCATCHER is available for you to!! 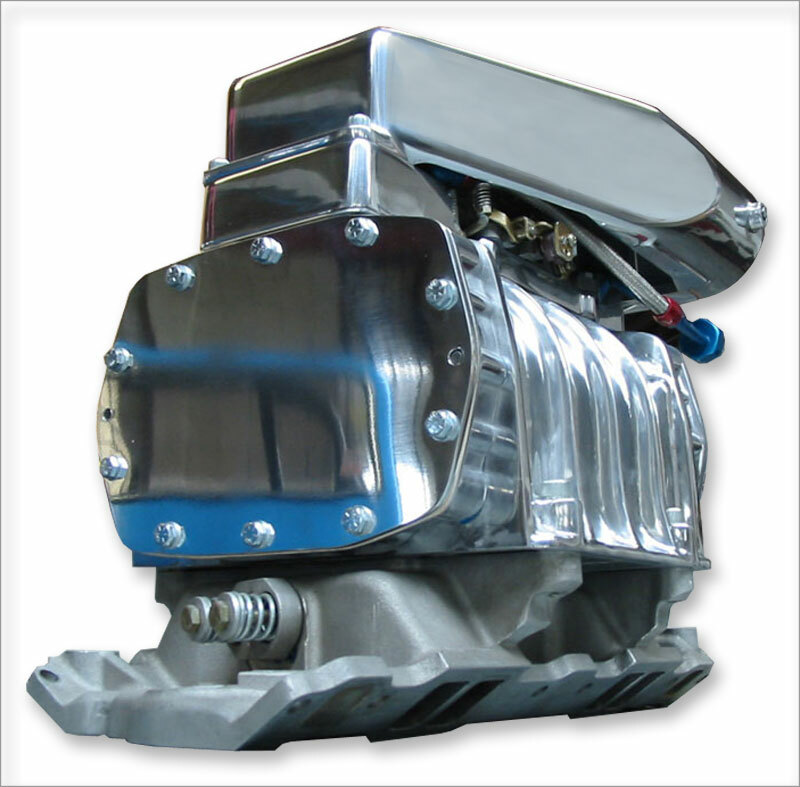 The 4-71 STREETCATCHER is the same in every respect as the SC500 6/8/10-71 model except for the adapter plate design and drilling which is setup with the 4-71 bolt pattern and 4-71 entry sizing to bolt directly to the top of a 4-71 Blower. The SC500-471 adapter is drilled to locate the extreme back of the adapter in line with the rear of a 4-71 blower which has a stock GMC rear end plate and flat rear cover plate as in the pictures. If you have an aftermarket rear end plate, the rear of the scoop generally will not extend back past the overall back of your aftermarket blower bearing cover plate/s, they are still close to the thickness of stock parts. SC500 6-71Dimensions, Images and technical information directly apply to this model. 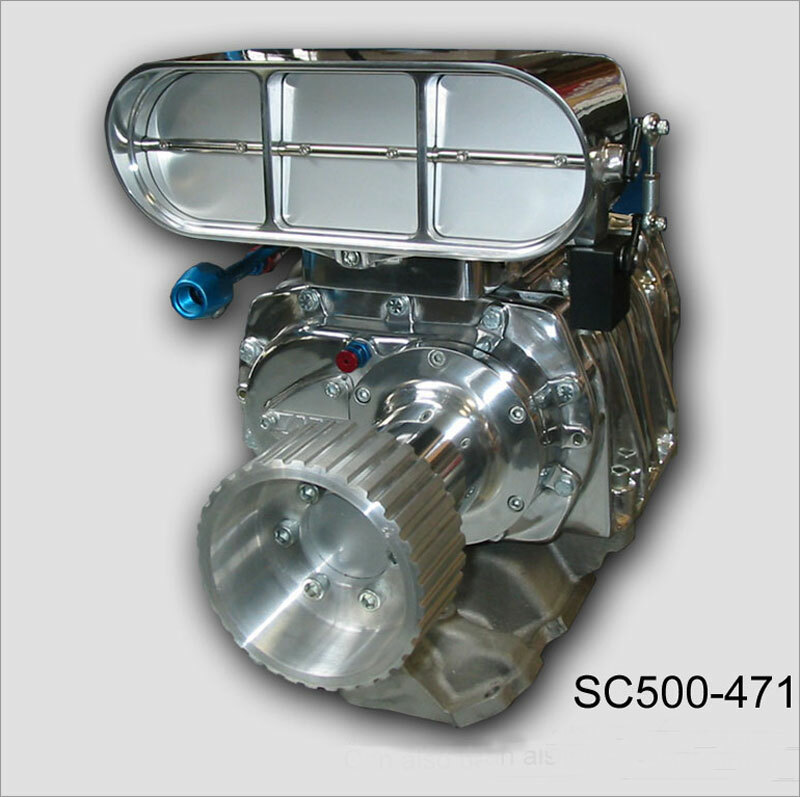 Click Here for the Main SC500 Page.